It’s often said that what matters the most is invisible. 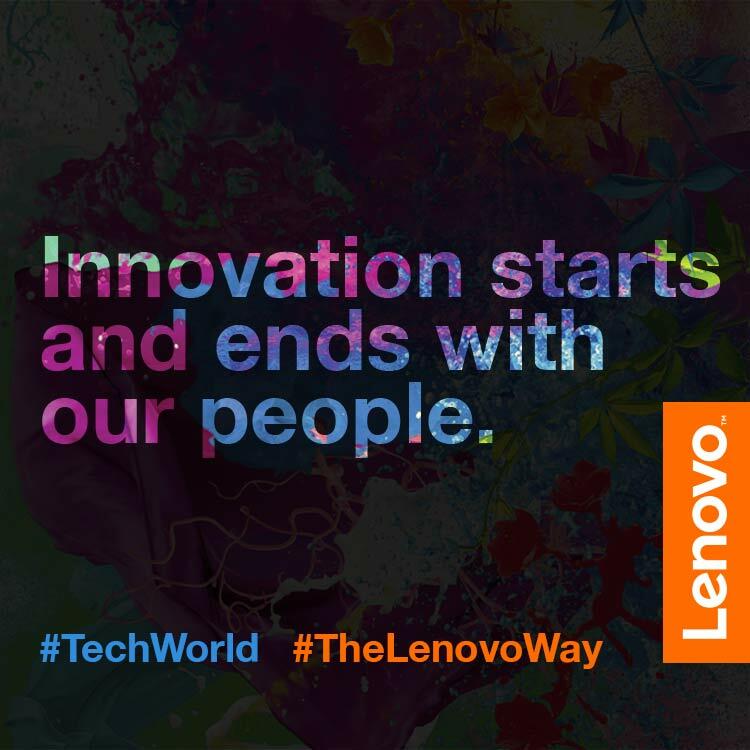 When it comes to Lenovo’s innovative computers, tablets and smart phones – the magic recipe for bringing these to life that lies behind the scenes is our people and the culture of Lenovo. On May 28th, Lenovo will host its first exclusive global event to demonstrate our current innovations, along with our vision of computing and other emerging technologies for the next five years – including announcements of new and exciting products and technologies. Lenovo Tech World will take place at the heart of a high-tech innovation center, Beijing, China, where Lenovo was founded in 1984. Three decades later, as the number one PC maker in the world, Lenovo Tech World will demonstrate how our culture is a successful business strategy. Our culture creates an environment that accepts differences, thrives on diversity and embraces an entrepreneurial spirit. It is this culture that allows people to be creative, challenge perceptions, think outside the box and develop breakthroughs as a team. Simply put, our innovative products reflect our culture. Our CEO, Yang Yuanqing, frequently states that future technologies will have to change the way people live, work, and play to be successful in the industry. At Tech World, we will share our perspective on the entire device, wearables and connected ecosystem, with an emphasis on human-centric design. Our concept products and demonstrations will be centered on wearables, smartphones, tablets, PCs, servers, software, and cloud devices. We will demonstrate some of our most imaginative thinking for concepts that have the potential to develop into real-life, innovative devices; ideas that are direct results of our diversity and company culture.